Our best skiing offers for the February holidays (15th February - 15 March 2016): Book in the station of YOUR CHOICE - Special offers with up to 10% off when you book early! The next February holidays are fast approching and we strongly recommend booking now, not just to ensure the station of your choice, but also so that you can benefit from early booking special offers. 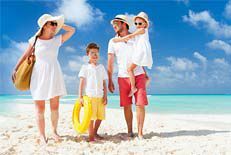 These offers can get you up to 10% off the price of the holiday, well worth it at this busy time of year when accommodation is at its most expensive. February is also the month when the ski stations go out of their way to welcome holiday-makers, whatever their age and skiing level, and where the skiing areas and ski lifts run to maximum capacity. Whether you are just in search of accommodation, or if you prefer a package deal (with ski pass and/or ski rental included, or an all inclusive package), you will find here all our best offers for the 2014 February holidays (from 15th February for Zone C, last departure 8th March in Zone A), practical, comfortable and economical, in the Alps, the Pyrenees and the Vosges. For younger members of the family, check out our children's and teenagers' ski camps at this period. For large capacity accommodation, consult our offers for 10 people and over: rarer and great value, these accommodation options are quickly booked up.